The Filson Hyder Quilted Jac-Shirt is equal parts pub approved style paired with full utilitarian durability. 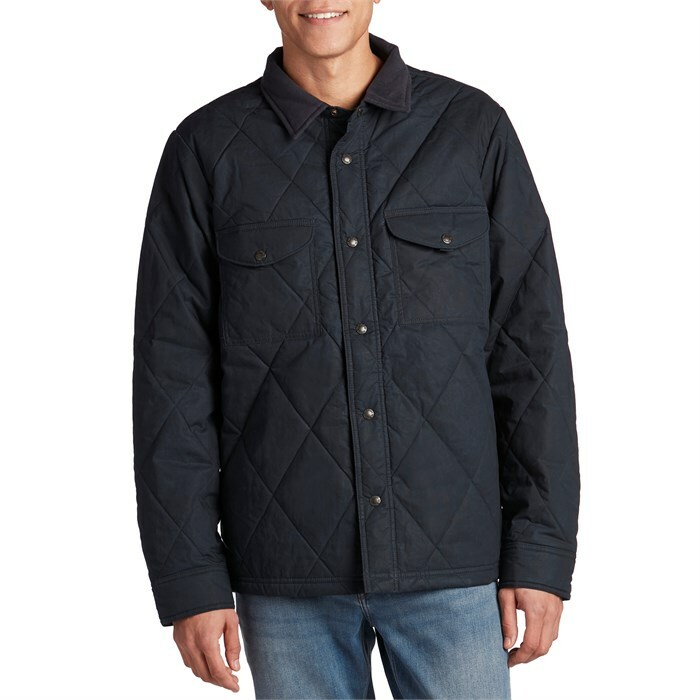 Its heavy weight nylon houses 100 grams of Primaloft™ insulation behind a hardy, wax treated cotton creating a coat that will keep you warm through any job with the utility style to go to the pub when you're finished. Regular This is the traditional, not too tight, not too baggy fit. Jackets and pants have room for layering without being very baggy when not wearing many layers. It has standard inseams with straight legs on pants.